Last year I really embraced and focused on loving my selfie. Sometimes it feels weird to put that gorgeous photo of myself out there, but I know I have a story to tell even though my job as a mommy is at the forefront right now. Scrapping my story is still important and it matters. My challenge to YOU is the take a selfie or a couple and scrap them. Then come back and post it here! Here is my layout!! 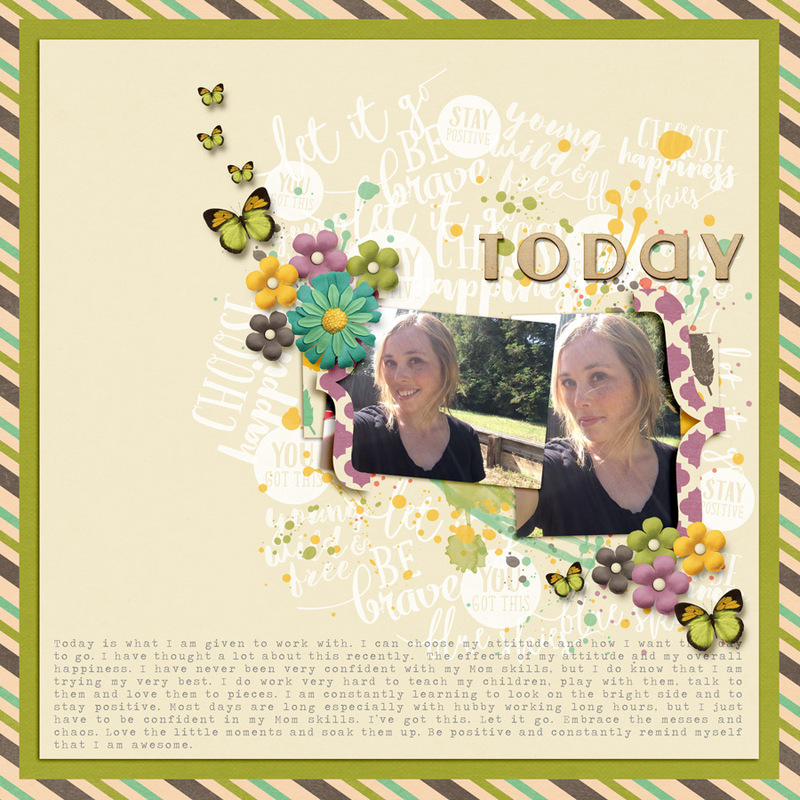 I had so much fun playing with Digital Scrapbooking Ingredients new kit Free as a Bird kit. And I put in some honest journaling. 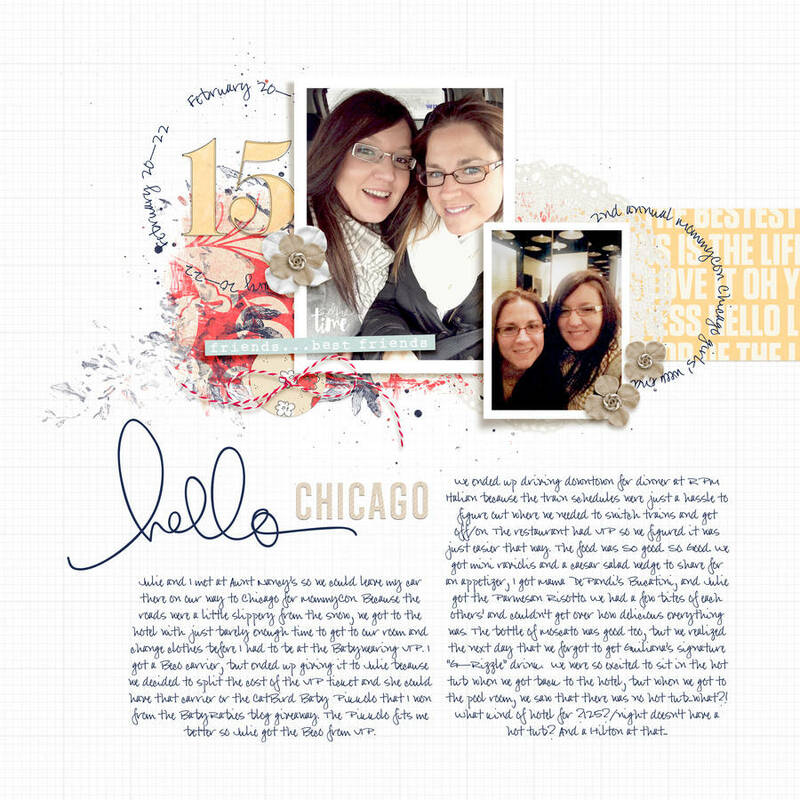 Here is my CO-HOST's Krista's layout! 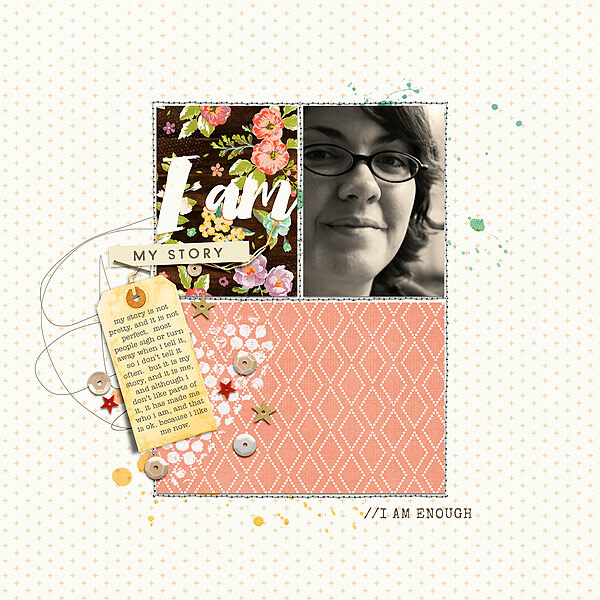 A random winner will be selected to receive a $5 gift certificate to Digital Scrapbook Ingredients store here at TDP. We cannot wait to see what you come up with! Last edited by kristallund; 05-01-2015, 03:58 PM. I'm excited to see your pages!! 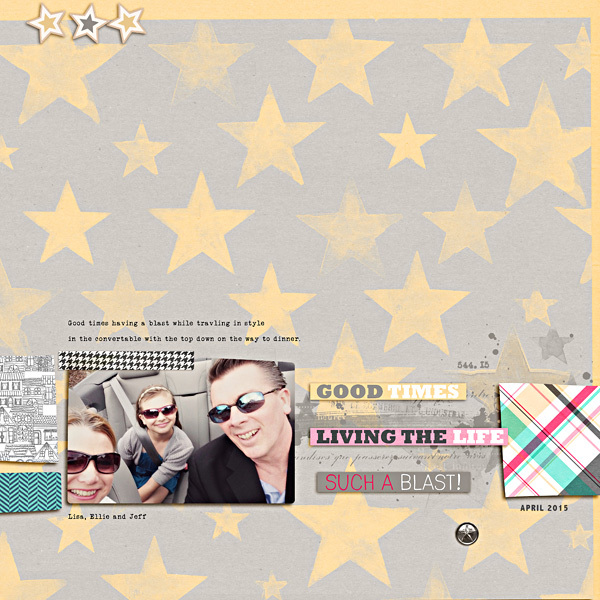 wow,I really like your page , a super way to do a background,and your ellies look fab. Thank you so much for the compliment! I really appreciate it! And I can't wait to see your selfie page! You can do it! my "selfies" usually contain a kid or 2 or 3! do you ever make an effort to get a true selfie of just yourself? YES!! So true! I am always in photos with them so I'm trying to make a conscious effort to get a just me selfie. anyone working on a selfie long term project? do you have a selfie stick? do you use your timer on your camera or phone? i always fail at long term projects but i just try to remember to take some at least every week. it's not always publishable work *cough* but anyway. once i used my big cam and a tripod and it's different. somehow more official. and a lot more work than just turn the phone and click. I haven't done a selfie project, but I've pulled out my tripod and used my DSLR for selfies a few times. My avatar photo is from such a session last year. I love this!!! I think family selfies are just the BEST!! Love your design and the positioning of the papers! My friend and I always take selfies when we hang out because it doesn't happen that often since we live a couple hours away and our schedules don't always match up. love your bff selfies! reminds me i have to take some when i'm meeting my bff in june (she lives a couple hours away, too). also perfectly scrapped with that ton of journaling. OF COURSE!!! The more the better! i love the pretty colors on the dark bg. looks great!! OMGEEE your page is awesome!!! Purple highlighted hair!?! LOVE it!! Gorgeous layout! Love the colors, layering- so awesome! YES! I guess you could say "low light"? It looks dark brown in most lighting, but in the sun or direct light- it's purple! :D I LOVE IT! love the page and the selfie! it took me quite a while to embrace my selfies. it's a process i now even post pictures of me that i actually don't like because well... that's me, too. Yes embrace the selfie!! Such a beautiful photo and page!! Lovely!! Thank you so much for playing and making a page! I played along as well! this is so AWESOME!!! absolutely love that you took a selfie AND scrapped!! Gorgeous!! I'm loving these pages. I think I may have to go for it and do this challenge!